Black Friday and Cyber Week sales are knocking at the door, and the holiday sale season is ramping up. To help you navigate it and get the best deals, I am sharing the scoop on shopping Black Friday Sales and Cyber Week sales. I will track the sales every day and make updates regularly so you can make the most out of the sales and complete your holiday shopping early. Now technically, it is not Black Friday yet, but there are lots of sales that have already begun. As a fun surprise, I’ve linked each brand to a favorite product and listed a few gift ideas below. Now, let’s cut the chase – here is the shopping scoop! – Get 50% off everything. – 50% off everything with code CYBER2018. – 50% your purchase with code CYBER. – Save 30% off everything, plus free shipping on orders over $100. – 50% off everything! Extra 10% off for card members. – 35% off everything with code CYBER35! Daily deals, 30% off personalized jewelry & up to 60% off gift sets. The monogram necklace I have is 30% off! – Take 25% off select items, plus special CYBER deals. Their designer sale is also going on – get 30% off select handbags. 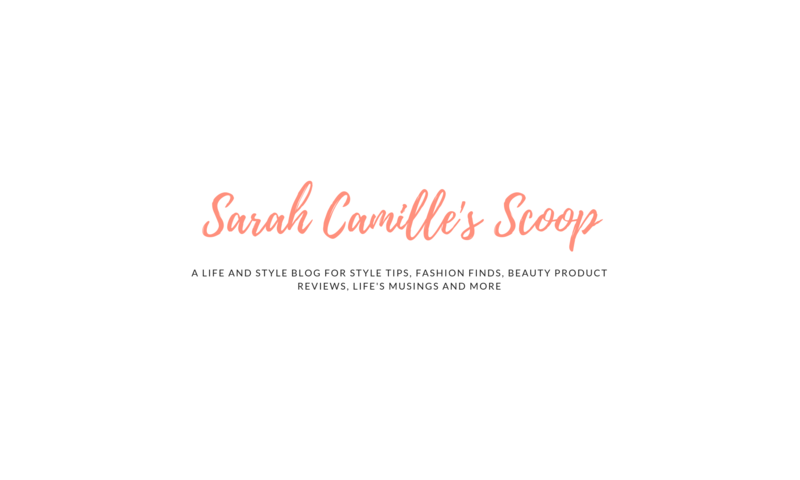 – Get 50% off selected items, a free strap with any watch PLUS an additional 15% with my code: SARAHCAMILLE. – 50% off everything, plus free shipping! – Get60% off sale styles and 50% off everything else with code CYBER. – Get 60% off purchases with code ADD2CART. – Enjoy 30% off everything with code GIVECHEER, ending Sunday, November 25. You can’t ask for a better reason to pull the trigger on a new handbag! – 20% off clothing and outerwear with code THANKS20, through Tuesday, November 27. – Save an extra 25% with code CYBER. Shoes and handbags are an extra 30% off. – Get 30% off everything! – Take 20% off orders of $400 or more with code CYBER20. Get 25% off orders of $800 or more with code CYBER25. And get 30% off orders of $1200 or more with code CYBER30. – TONS of Cyber Week deals. Get up to 50% off designer bags, up to 75% off men’s coats, 65% off kids and baby clothes, 65% off holiday decor and more! – Earn a $50-$750 gift card with regular-price purchase. Use code GC4YOU. – Up to 60% off select sale items. Plus, designer clearance, up to 40% off. –25% off sitewide plus free shipping with code CYBER. Up to 75% off special Cyber Monday deals. – Up to 65% off select items. – $10 Beauty Boxes + 50% off select items daily. – Save 40-50% on everything with code SAVENOW. – BOGO 60% off clothing, shoes & accessories, online only. Sunday & Monday only. Spend $75, save $35. Lots of deals on toys, holiday decor, electronics, apparel and more! – 40% off all bras. $20 off purchases of $125 or more with code SAVE20VS. Get free shipping on purchases over $50 with code SHIP50. – Save up to 30% off with code SAVEMORE. There are some awesome bonus deals, plus up to 40% off rugs and bedding. – Get 10-25% off with their buy more, save more event. Use code SAVEMORE. Select items are up to 70% off! – Get 40% off furniture with code FURNDEAL through Sunday, November 25. Save 30% on candles, mugs, toys, stockings and frames. Save 40% on wreaths, wall art, games for grown-ups, throws and chocolate bars. Phew – know this was a lot of sale info! If you made it to the end, know I’m extra grateful for you!! Will you be shopping the holiday sales this week? What’s your strategy for shopping Black Friday or Cyber Monday sales? I would love to hear your thoughts and tips. Let’s chat in the comment section. Have a wonderful Thanksgiving and happy holidays! I shopped online and already got a bunch of gifts for my kids! These deals are really good this year! YES! Awesome deals. I can’t wait to grab them! Such great deals. I’m not from the US but I’ve seen and read about how crazy black friday sales can be.I’ve got my eyes on the home gifts. Haha, I usually do more cyber shopping during this span than in-store. But I’ve been knocked out with a nasty virus this year, so have no energy to do ANYTHING! I have never gone out on Black Friday. I can’t handle crowds so it’s not happening for me. But Cyber Monday, sitting behind my computer, that’s my kind of shopping! We haven’t shopped for my boys yet, so my husband and I will be looking for the best deals for our kids online!